To round out the first quarter of 2017 (where did the time go? 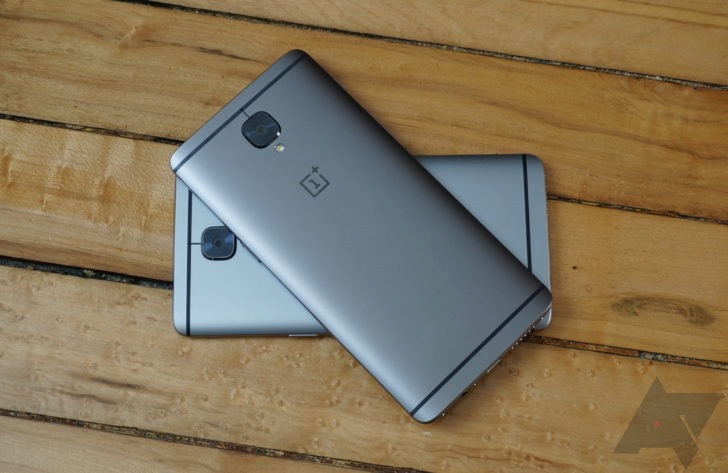 ), OnePlus has announced a new build for its Open Beta program for the OnePlus 3 and 3T. Versions 13 and 4, respectively, pack in quite a few new features. But let's dive into the changelog first, shall we? There's a lot there. Thankfully, OnePlus provided a helpful guide explaining "a few of the features that are not self-explanatory." I'll run over them briefly. The launcher settings are getting a simplified and new shortcut for access (described as a pinch motion from your homepage). Notification denoising refers to assigning priority levels to new items that come in — this grants only the apps you've deemed important enough to bug you access to... bug you. Gaming DND just deactivates the capacitive buttons to prevent accidental pressing during game time. Secure Box is probably the most interesting bit there, but it's pretty self-explanatory: it creates an encrypted vault that you secure with its own PIN (no mention if there will be fingerprint support). It will rest in the default File Manager app. Finally, the QR-based quick pay option is restricted to primarily Indian users for the time being, but it adds an option to make a long press of the home button (screen on/off) into a shortcut for Paytm, Wechat, or Alipay. If you're already on the Open Beta track, you should be receiving an OTA to this latest version if you haven't already. If you're not on that channel, but want to take advantage of these new features, then you can flash the beta to your phone pretty easily. You can find instructions on the appropriate download pages in the source links below.